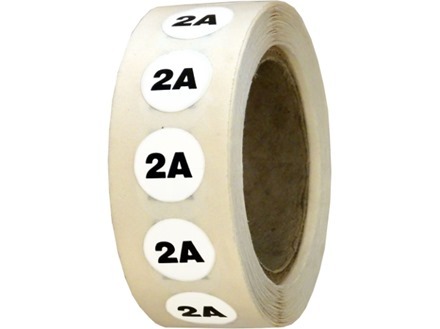 Items per quantity: Roll of 500 labels. 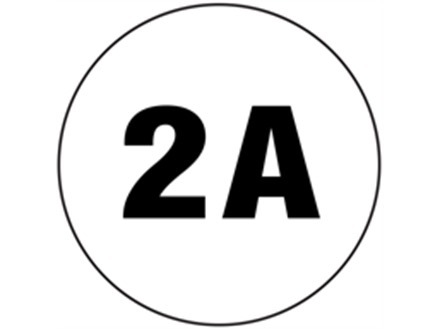 2 amp labels. Part of our electrical hazard warning label range. Material self adhesive vinyl. Supplied in rolls of 500 labels. Available in two sizes. Electrical safety labels. 2 amp stickers. Black print on white self adhesive vinyl. Supplied in rolls of 500 labels. Two sizes available. These labels comply with the Electricity at Work Regulations 1989. FRL110 Size 10mm diameter. Material self adhesive vinyl. FRL111 Size 15mm diameter. Material self adhesive vinyl.